Udaipur is one of the most beautiful cities of Rajasthan, it is located on the banks of lake Pichola, also known as a 'Jewel of Mewar'. The most romantic city of India can take the tourist into paroxysm of heaven. The center of attraction vibrates around the shimmering blue waters and the royal white marble palaces constructed with unique artistic insight. This remarkably chiseled out Lake Palaces shines like a jewel on Lake Pichhola certainly enchants the tourist and overwhelms them with its charm. Also known as Jag Niwas, the palace was built by Maharaja Jagat Singh II, after whom it has been named. Situated on Lake Pichola, it appears to be floating on the lake, and its huge structure and exquisite beauty leaves one spellbound! 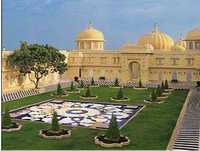 The largest palace of Rajasthan, it is also one of the largest in the world. It represents the architectural and artistic evolution of Mewar over the centuries. The palace is divided into various sections, each with its own distinctive style. Designed by Maharaja Sangram Singh II in the 18th century, this garden was the picnic spot for the 48 royal ladies who were offered to the prince as dowry. 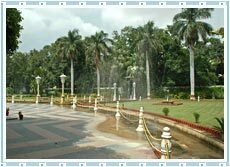 The gardens here have lush green lawns & beautiful fountains in the shape of birds - presenting a wonderful sight! Built by Maharaja Jagat Singh during the mid 17th century, the temple is dedicated to Lord Vishnu. One of the largest and popular Vishnu Temples of Northern India, this temple has exquisite carvings and four other smaller shrines dedicated to other deities. Originally started by a banjara and later completed by Maharana Udai Singh, this lake presents the picturesque beauty of Udaipur. 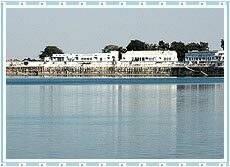 Encircled by numerous palaces on all sides, it houses various islands where the famous Jag Mandir and Jag Niwas are situated. 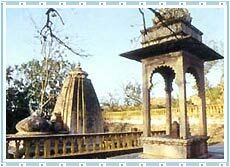 An ancient capital of Mewar, Ahar is the favorite haunt of archaeologists and research scholars. It houses various famous monuments and temples like the Royal Cenotaphs, Adinath Temple, Mahavira Temple, not to mention, the important excavation sites. 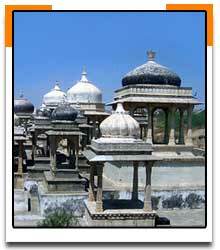 Eklingji, the city dotted with temples, is located about twelve miles to the North of Udaipur in Rajasthan. 22 kms from Udaipur, Eklingji is a complex of 108 ancient temples, incised out of sandstone and marble. 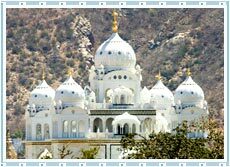 Jaisamand Sanctuary is situated 50-km south of Udaipur, the picturesque 'City of Lakes', succulent valleys and hills. 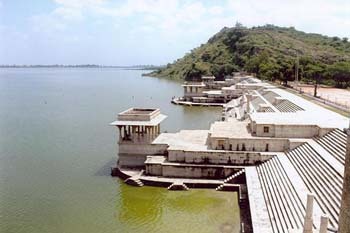 It is on the bank of Jaisamand Lake, the second largest artificial Lake in Asia. Kumbhalgarh Fort was built by Maharana Kumbha in the 15th century. Perched on the Aravallis, this is the second most important fort in Rajasthan after the Chittaurgarh Fort. 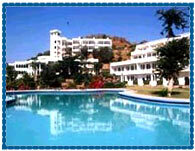 Nearby is the Kumbhalgarh Wildlife Sanctuary. Nathdwara enshrines Shrinathji - an image of Krishna, which was originally enshrined at the Vraja Bhoomi at Mount Govardhana near Mathura.The name Nathdwara means 'Gate of the Lord'. The scene of the famous battle of 1576 AD fought between Rana Pratap, the heroic son of Udai Singh and the massive forces of the Mughal Emperor Akbar. 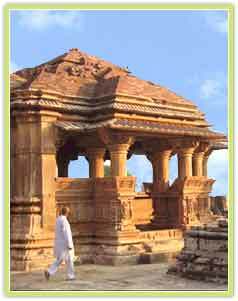 A beautiful 'Chhatri' with white marble columns, dedicated to Rana Pratap stands here. 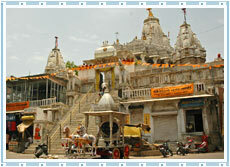 An important Vaishnava temple popularly called ¿Dwarkadhish¿ is located here. 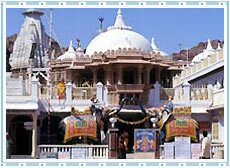 It is the most important temple of the Vallabhacharya sect, built to resemble the famous Nathdwara shrine. On the way to Kumbhalgarh lies the magnificent dam - the Rajsamand Lake. The royal lake, was built in 1660 AD by Rana Raj Singh. From here, one can have a spectacular view of the sunset with beautiful 'torans' or arches and 'chhatris' adorning the embankment. The lake has a Rest House of the Irrigation Department on the embankment below. The Rest House has a beautifully laid out garden interspersed with exquisite sculptures excavated from the ruins nearby. The town of Kankroli nearby with a marvellous temple and a pretty palace on the hill top offers a scenic view. Popularly known as Kesariyaji because of the large saffron offerings, this temple is dedicated to the Jain Tirthankara Rishabhdeoji. Shopping in Udaipur is a rendezvous with bright colors, exquisite crafts, brilliant hues, warm people and a lot more that has to be felt and cannot possibly be described in mere words. 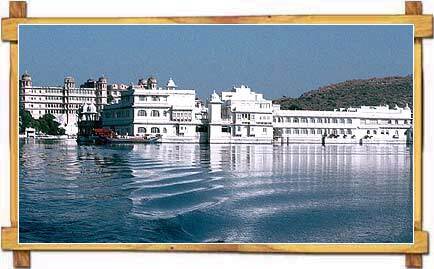 In all, a glorious experience - shopping tours to Udaipur offer you the perfect opportunity to shop till you drop. Shopping in Udaipur, tourists come across beautiful handicrafts and jewelleries that are a complete delight for them. Other than this folk toys, images of gods and goddesses and painted fabrics are the most popular buys for tourists. Shops around the Lake Palace and Jagdish temple offer abundant opportunities to tourists to buy these items. These beautiful items become a memory for lifetime for tourists visiting Udaipur.